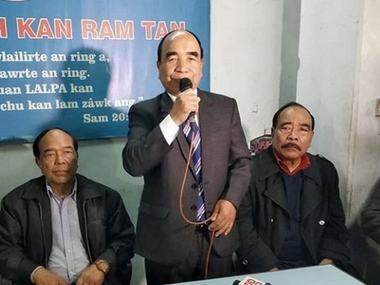 Non-BJP candidates in Mizoram, including Independent Lalnghinglova Hmar and MNF's C Lalrosanga, have vowed to fight the citizenship amendment bill. 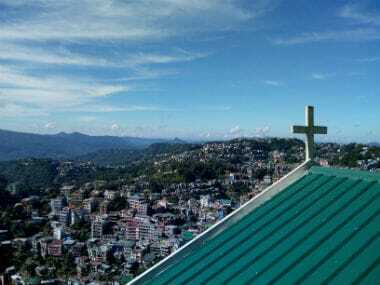 The Mizoram Assembly will not have a single woman legislator as all the 15 female candidates lost in the 28 November election in the state where women outnumber men in the voters' list. The Mizo National Front (MNF) on Tuesday returned to power in Mizoram after a decade, securing 26 seats, five more than an absolute majority in the 40-member Assembly. 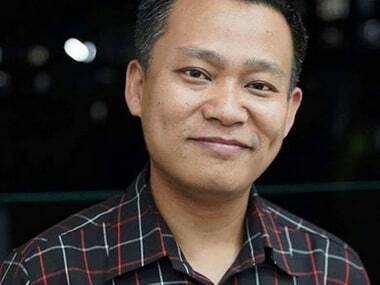 The Mizo National Front (MNF) is all set to capture power in Mizoram after a decade, having established leads in 25 of the 40 assembly constituencies, while the ruling Congress is ahead only in places. 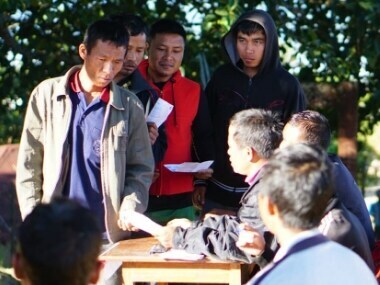 Even as the result of vote counting in Mizoram Assembly Election proceeds, the Mizo National Front emerges as the front-runner, winning 14 seats and leading in 11 other in the state with 40 constituencies. Most exit poll predictions are saying that Congress is likely to win in Rajasthan while BJP has the advantage in Madhya Pradesh. 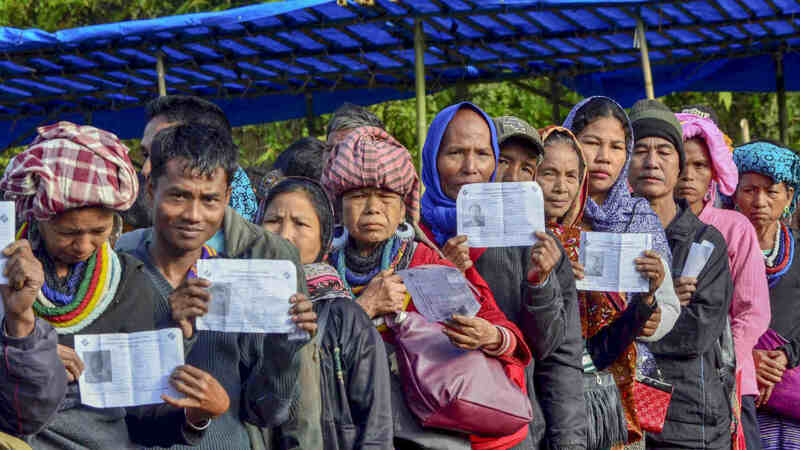 Mizoram went to polls on Wednesday with 7.7 lakh names in the electoral rolls, including 3.9 lakh women and 32,545 first-time voters. 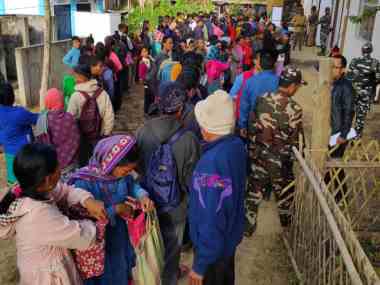 11,100 security personnel, comprising central paramilitary and state security forces, were deployed to avoid any untoward incidents during the Mizoram Assembly elections on Wednesday. 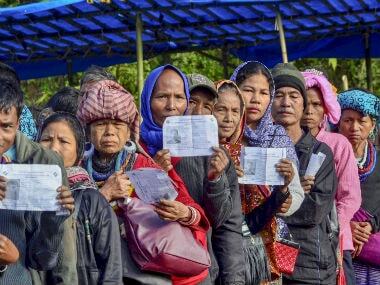 Mizoram Assembly elections updates: 56 percent voter turnout was recorded at Tuikum as of 2.30 on Wednesday afternoon, a spokesperson from the Election Commission said. 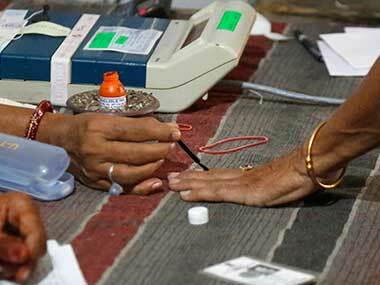 Hrangturzo recorded 55 percent, South Tuipui 51 percent, and Thorang 59 percent, the official said.